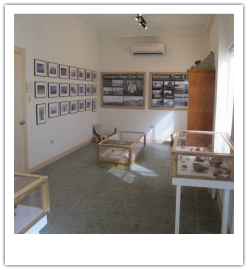 The museum exhibit housed at the Interpretation Center is the first permanent exhibit on Barbuda’s past and present. The space houses artifacts from both the historic and prehistoric past of Barbuda. A photo and essay exhibit created by students from the Sir McChesney George High School as part of the Portraits of Resilience initiative sponsored by Many Strong Voices, featuring issues of climate change as seen through the eyes of the youth; highlights some of the modern day concerns facing the island but also capturing images of this unique and beautiful land and its amazing people. 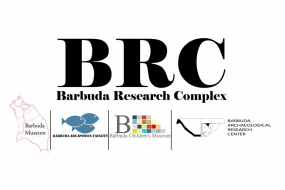 The museum exhibit housed at the Interpretation Center is the first permanent exhibit on Barbuda’s past and present. The space houses artifacts from both the historic and prehistoric past of Barbuda. A photo and essay exhibit created by students from the Sir McChesney George High School as part of the Portraits of Resilience initiative sponsored by Many Strong Voices, featuring issues of climate change as seen through the eyes of the youth; highlights some of the modern day concerns facing the island but also capturing images of this unique and beautiful land and its amazing people.